Paul Pontallier, Ch. Margaux's Wine Director, spoke to us about how pleased he was with the 2001 and that this was an older-fashioned style of vintage - they were not looking to imitate 2000 but wanted to concentrate on purity and variety of flavours. Restraint was the keyword here. Entrancingly complex, the firm well-focussed fruit led to a long, firm, extremely pure finish. 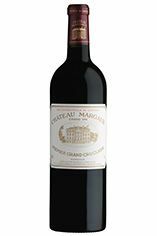 Made with 82% Cabernet Sauvignon this is classic Château Margaux that will require a little patience. "Drink the Pavillon Rouge while you are waiting!" Monsieur Pontallier quipped. 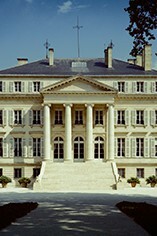 The Wine Advocate - The 2001 Chateau Margaux continues to evolve in impressive fashion. The nose feels sensual, veering towards red rather than black fruit, with disarming purity and perhaps showing more floral/violet character than the 1999. Both display tremendous precision and delineation. The palate is medium-bodied, edgy and tensile with crisp acidity, so fresh and vital in the mouth. Tasted next to the 1996 Chteau Margaux, it is clear to see that the 2001 is several steps behind, yet the way it fans out with such confidence and brio on the finish assures that this has a prosperous future. Tasted May 2016.